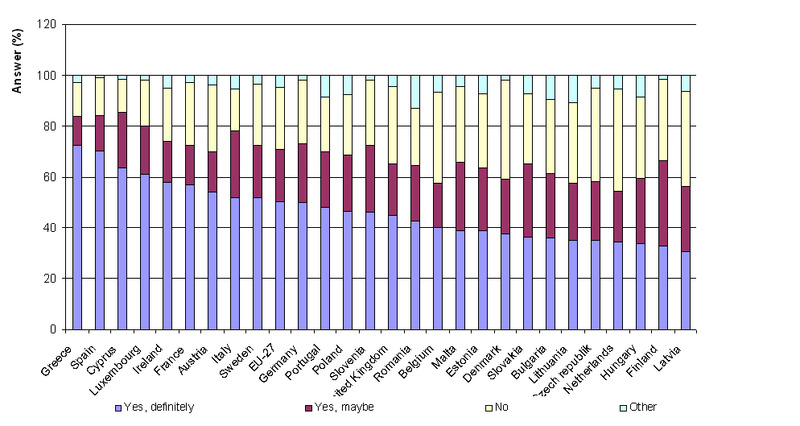 The public is greatly concerned with trafific-related problems in EU-27 and Slovenia as well. Environmental awareness itself does not automatically had to the desired changes in mobility behaviour. Figure PR06-1: What is the main mode of the transport you use for your daily activities? 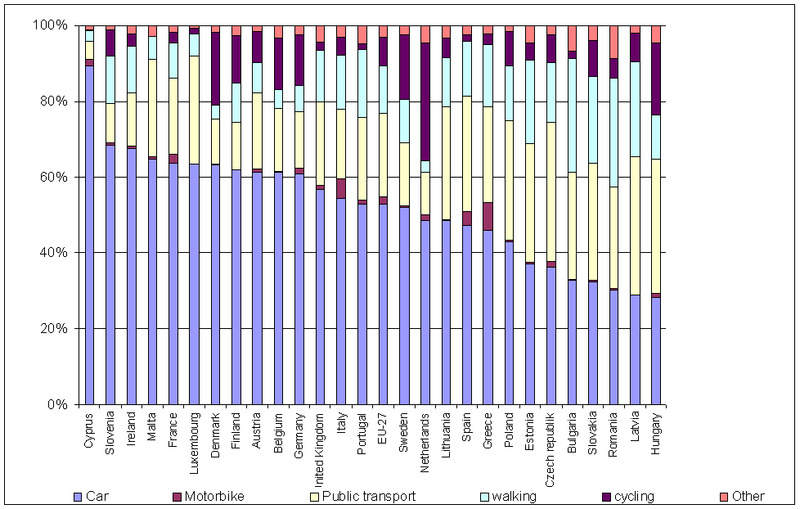 *Note to Figure PR6-2: Data are presented only for Slovenia and only for those who use car as a main mode of transport. 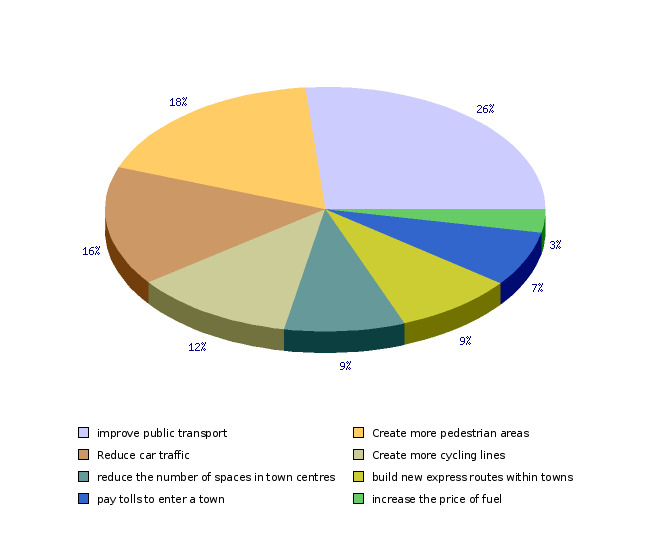 Figure PR06-3: Which of the following proposals would encourage you to use public transport more often? *Note to Figure PR6-3: Data are presented only for those who use car as a main mode of transport. 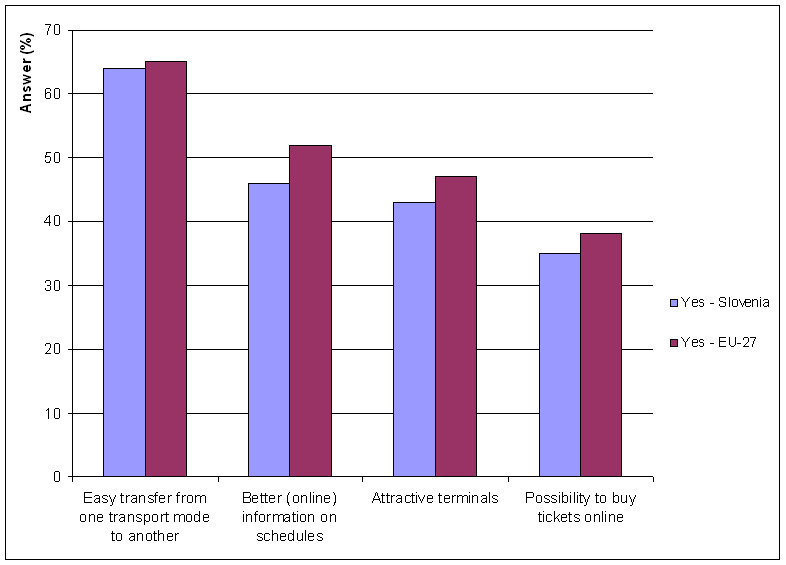 Figure PR06-4: Would you consider using public transport more frequently if there was an option of having a single ticket covering all possible transport modes for your journey? Figure PR06-5: In near future cars might have to compromise on some of their current characteristics in order to reduce emissions. How likely would you say, are you to compromise on the following characteristics? *Note to Figure PR6-5: Data are presented only for Slovenia. 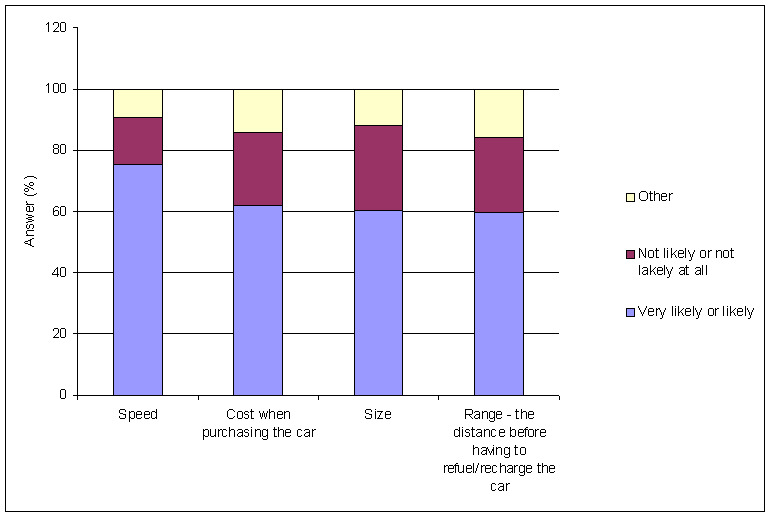 Figure PR06-6: To what extent do you agree with replacing existing car charges such as registration and circulation taxes with charging schemes that take into account the actual use of the car such as the driven kilometres, or the car usage in peak hours? Figure PR06-7: Which of the following fuel system do you think is more environmentally friendly from the perspective of air quality? 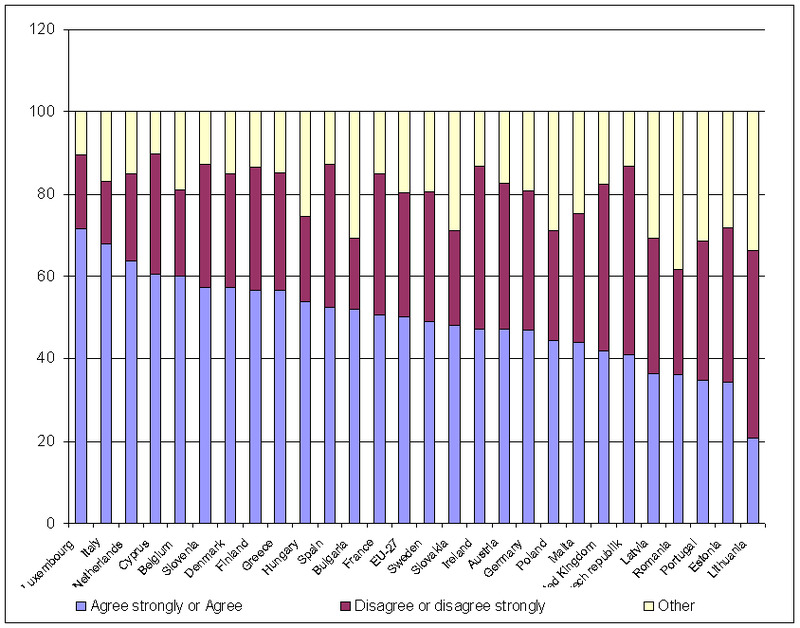 Evropska komisija, Flash eurobarometer "Attitudes of Europeans towards air quality" (No 360), 2012. 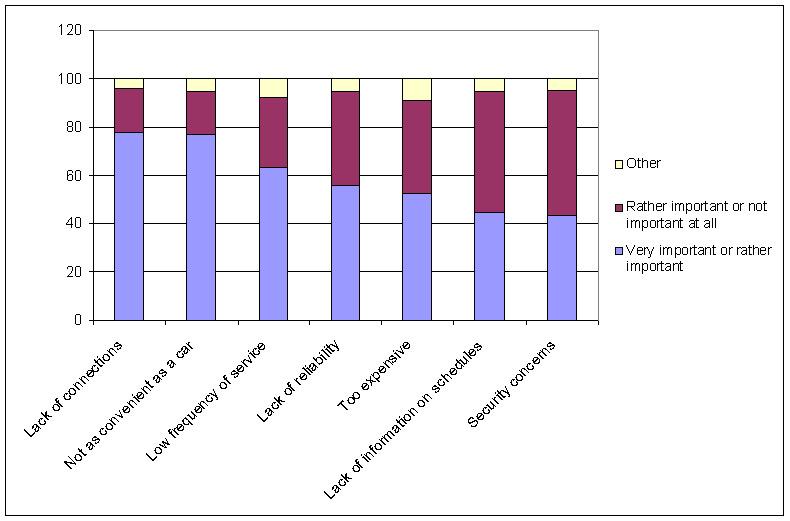 Figure PR06-8: Which action would most efficiently solve the environmental problems caused by traffic?